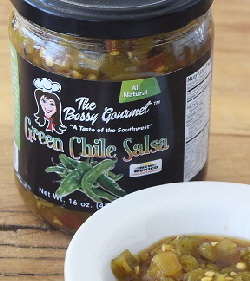 Since 1986, we have offered a wide variety of unique chile-related items.Located in Southern New Mexico, New Mexico Catalog features authentic New Mexico Red and Green Chile, prepared New Mexican Foods and Chile Ristras. 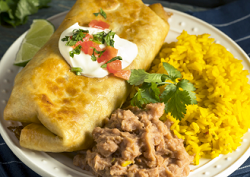 Our Chile Products are produced in Hatch, Southern New Mexico and Mexico and include Conventionally Grown and Organically Grown Red and Green Chile. 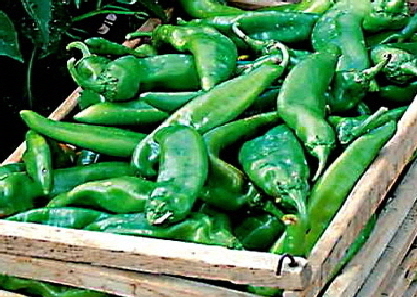 New Mexico Chile Season in the Fall is like no other on earth. It is an experience which could never be fully described in this brief introduction. As the leaves change, chile peppers transform from green to fiery red making our fields ablaze with color. The sky has a cool hue of blue, known only as Santa Fe blue and the hills are warmed by the yellow from the aspens and cottonwoods. Kiva fireplaces are crackling with juniper and pinon and the air is fragrant with the aroma of roasted green chile. At this time of year, we are inspired by the food memories of our childhood, the daily meals which always include chile, the family celebrations, the community fiestas and the spur-of-the-moment trips to our favorite places to get our "chile fix". 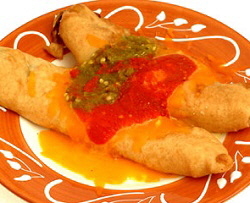 We are energized by the small out-of-the-way family-owned New Mexican restaurants in the area, many known only by the locals --and by the time-honored (and often closely guarded) recipes passed on from generation to generation. These are the rustic foods made from the freshest local ingredients, painstakingly created daily by our mothers, grandmothers and neighbors to feed us after a hard day of work. These are our comfort foods, developed over the years, that we cherish and look forward to every day. We’re keeping alive old traditional recipes which have been around for generations. We use only the freshest and most authentic ingredients. And, most of all, our foods are flavorful and immensely satisfying. 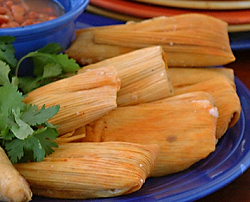 It is our mission to provide the freshest, most authentic chile products for our customers so they can experience the unique flavors of our traditional southern New Mexican foods. 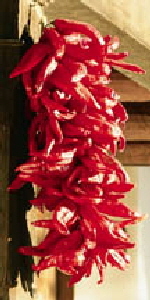 Our ristras and wreaths are made by hand in the traditional way, utilizing top qualiity chile pods. Each ristra is made to order so it will be as fresh and full as possible. 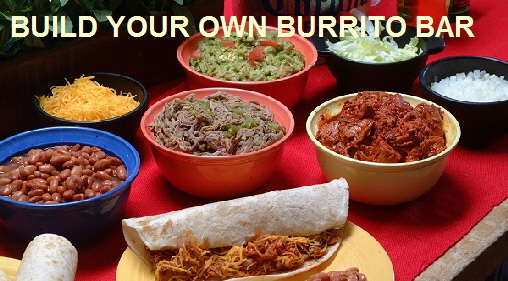 Many of our ristras are suitable for cooking and recipes are included with each order.